The VTUG Users group has been around a very long time. They run an event called Summer Slammer every year that is a must attend event in the VMware world. (Click Here for my latest blog in the event) The event if offered at no charge. The Technical content is excellent. At the end all the Lobsta and Gritty’s Beer you can drink. The Who’s Who of the virtualization world show up to it. You just never know who you will meet. At one event I met one of the creator of VMware vMoition there. Michael Webster one my co-authors of the book Virtualizing SQL Server with VMware: Doing IT Right is flying in from New Zealand to attend. This group represents all virtualization technology not just VMware. You can get it all at the VTUG events. The Professional Association for SQL Server (PASS) is an independent, not-for-profit association dedicated to supporting, educating, and promoting the global Microsoft SQL Server community. It has a membership today of over 100K members. Membership in PASS is free. To learn more about the Professional Association of SQL Server click on the link. PASS SQLSaturdays are free 1-day training events for SQL Server professionals that focus on local speakers, providing a variety of high-quality technical sessions, and making it all happen through the efforts of volunteers. Whether you’re attending a SQLSaturday or thinking about hosting your own, we think you’ll find it’s a great way to spend a Saturday ? or any day. SQLSaturday’s are a great place to meet Microsoft MVP’s, accelerate your career or become part of the SQL Server Family. Once you have attended a SQLSaturday you will know first hand why I called it the SQL Server Family. In my opinion SQLSaturdays are the best thing a technology user group has done in years. To learn more about SQLSaturdays click on the link. Join SQL Server professionals from around the world for free online technical training and networking year round. PASS Virtual Chapters (VC) are interest-based forums that unite the SQL Server community through live webcasts with top SQL Server experts, online forums and resources ? including an archive of past presentations, and special training events. Whether you are a DBA, developer, or BI professional, there is a Virtual Chapter for you. We also have Virtual Chapters focused on professional development and Women in Technology, as well as language-based Virtual Chapters. The Pass Virtualization Pass Virtualization Virtual Chapter (aka SIG) of the Professional Association of SQL Server is dedicated to better management of SQL Servers in virtual environments like Microsoft Hyper-V and VMware vSphere. The meetings are held virtually in Microsoft LiveMeeting. This Virtual Chapter has a nice balance of Hyper-V and VMware vSphere. This group records past meetings and makes them available for viewing later. There is a really nice collection of video’s here. This is a Special Interest group 100% focused on VMware and Oracle. 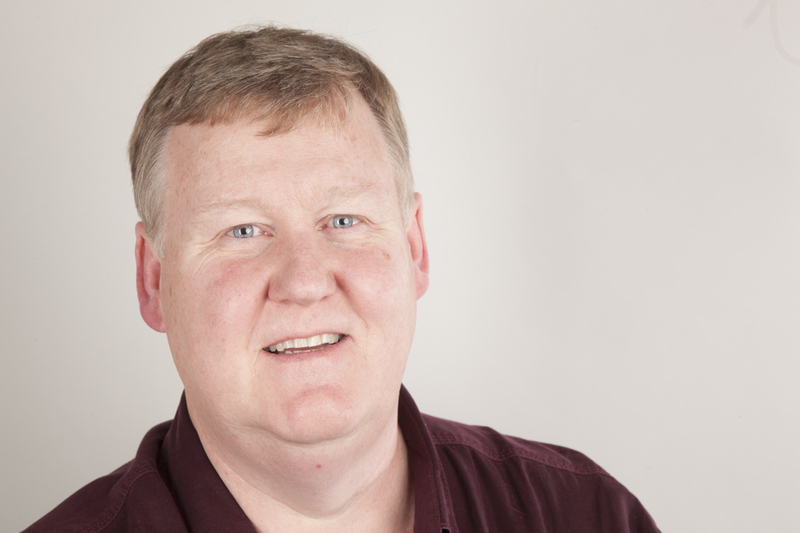 Michael Webster, VCDX, vExpert is one of my Co-Authors on Virtualizing SQL Server with VMware: Doing IT Right. I have had the privilege to work with him closely and have learned a lot from Michael. He is a frequent speaker at events all over the globe. Michael’s Blog? Long White Virtual Cloud is loaded with lots of technical information that will help anyone attempting to virtualize a business critical application like Microsoft SQL Server, Oracle, Exchange, SAP or E-Business Suite. There is a good reason why Longwhiteclouds.com was recently voted as one of the top 15 virtualization blogs (#13) in the world as listed on vSphere-Land.com. This is my personal blog where I comment on anything that catches my interest from funny sites, to technical information on Microsoft SQL Server databases, Oracle databases and all things on Database virtualization. 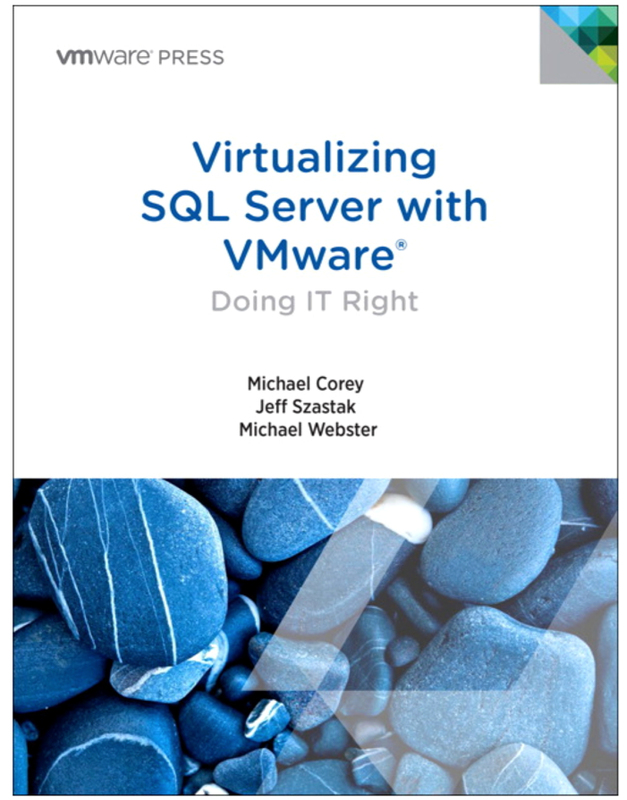 When We wrote the book Virtualizing SQL Server with VMware: Doing IT Right we asked Duncan Epping to write the forward to the book. Jeff Szastak, Michael Webster & I have great respect for Ducan Epping and his knowledge on VMware and virtualization. We were quite excited when he agreed to write the forward. His blog Yellow Bricks was recently voted as the top virtualization blog in the world as listed on vSphere-Land.com. It is well worth a visit if you are serious about learning more about VMware and Virtualization. To see the books published by Duncan Epping at VMware Press click on the link. David Klee is someone I have had the privilege to collaborate with on quite a few items. We worked with VMware to put together the VMware Workshop on Microsoft SQL Server for experts. David was a great resource when it comes to SQL Server and Virtualization. Thomas Larock has a really nice style about him. I find his insights into the Information Technology community quite useful. You are sure to find him at a SQLSaturday event or other Microsoft SQL Server Events. Tom is a Microsoft SQL Server MVP and a VMware vExpert. Tom Maintains his own SQL Server Blogger Ranking List which I have found quite useful at time. This is Derecks personal blog which focuses on enterprise IT technologies such as VMware Virtualization, datacenter hardware, and Microsoft enterprise software like Windows Server. If you are serious about Virtualizing a business critical application like Microsoft SQL Server, Oracle, Microsoft Exchange, SAP or Oracle E-Business Suite this would be an excellent resource. The book was written specifically with Microsoft SQL Server in mind, but many of the lessons taught will apply for any business critical application. Databases keep getting bigger and bigger. Database Technology keeps getting more and more complex. Many companies struggle with these issues. Many times this requires you to reach outside your organization for extra help. I recently wrote a white paper on choosing a remote DBA instead of a full time consultant. Organizations that use SQL Server and / or Oracle occasionally need advanced skills to create, support, and adapt their databases. Traditionally, firms would seek consultants or temporary contracts as a means to address these needs. Now, organizations have another choice, Remote Database Administrators – database pros that can remotely work on solving difficult database issues of structure, scale, programming, and security. This white paper from (company) shows why remote database administration may be more cost effective and efficient than traditional methods. The paper also has a checklist for you to determine whether remote database administration is right for you. A truck hits your only database administrator. ?Your only DBA is rushed to the Hospital by ambulance. Your only DBA is going on vacation for 4 weeks in another country. ?Your only DBA just gave you his two-week?notice. ?Whatever the reason — is your business prepared for such an event? ?What should you think about and do? PASS Summit is the world’s largest and most intensive technical training conference for Microsoft SQL Server and BI professionals. But more than that, it?s your conference ? planned and presented by the SQL Server community for the SQL Server community. Since 1999, PASS Summit has delivered the most technical sessions, the largest number of attendees, the best networking, and the highest-rated sessions and speakers of any SQL Server event in the world. ?Join us for top-notch training, technical tips and tricks, and the connections you need to take your SQL Server skills to the next level. VMworld?is an annual conference for IT professionals, focusing on Virtual Server?environments, put on by VMware. It is the largest virtualization-specific event in the world.